Contact your certified expert San Jose, CA, trenchless sewer line repair and replacement professionals at Genmor Plumbing, by calling (408) 933-9874 today. View our current online coupons and specials by clicking here. Explore what other San Jose, CA clients have said about their sewer line repair and replacement experiences with Genmor Plumbing professionals by clicking here. Sewer lines run from your home to the street main. When problems arise, it can be a very involved repair and a stressful and destructive process. Traditional methods would potentially destroy your lawn and landscaping by having to dig along the sewer pipeline to find the source of the problem. Now, trenchless sewer lines provide an easier, cleaner and more cost-friendly alternative. 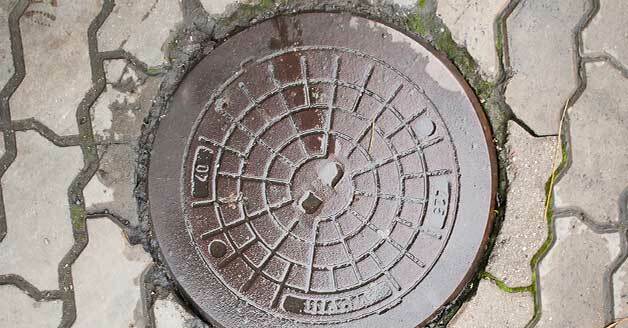 This is achieved by replacing the sewer with a new one that has the same or larger inner diameter using a unique process. What Are The Benefits To Trenchless Sewer Line Replacement? Trenchless sewer replacement causes far less damage to your lawn and landscaping than that of traditional methods. Driveways, patios and any other concrete areas also incur far less damage than traditional methods would have caused. With trenchless sewer replacement, two access holes are made. The first is near your home, either inside or outside, that connects with the main sewer line. The second is at the edge of your property where your sewer pipe is connected with the municipality’s sewer main. This new process also has significant savings benefits to that of traditional methods. Old methods had extensive labor costs in digging and cutting up necessary concrete areas to locate the source of the sewer line problem. What Is The Process For Trenchless Sewer Repair and Replacement? Trenchless sewer repair and replacement technology involves attaching a new sewer pipe to the back of a hardened steel splitting head. The pipe and splitting head are then pulled along and through the old pipe. This subsequently splits and expands the old sewer pipe to fit the new pipe inside and along the old one. By sliding the pipe along the path of the old one, it no longer requires digging up the entire pipeline area to repair or remove and replace the old sewer pipe. Call Genmor Plumbing in San Jose, CA today at (408) 933-9874 for your trenchless sewer line repair or replacement. Our licensed team of experts provide quality professional sewer line services. Obtain a free estimate for your next project and rest assured knowing that our work is always backed by our 100% satisfaction guarantee.